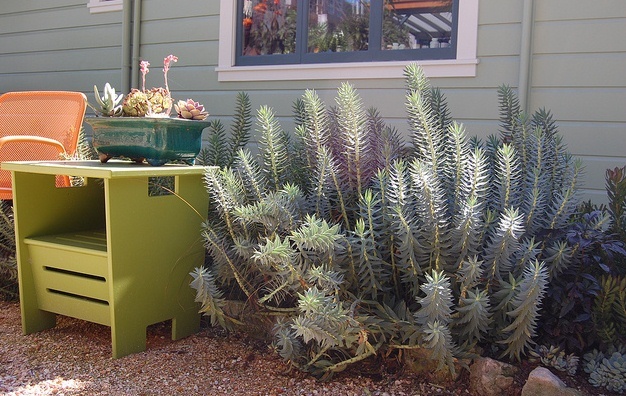 Kalanchoe beharensis is an evergreen bush known for its distinct looks and unusual foliage. 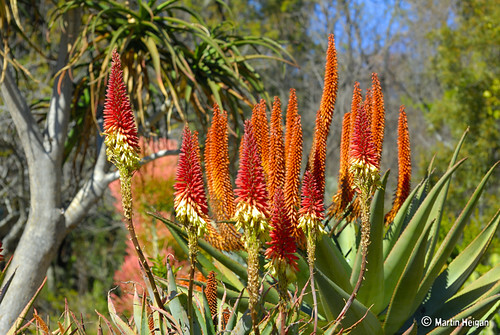 Gardeners and horticulturists like this plant because of its ability to grow in poor and sandy soil where it can be grown as an ornamental plant. This lovely bush is characterized by knotted stem that bears large foliage of olive-green color. Each leaf is covered by velvety brown ‘hair’ underneath that make its felt-like surface. 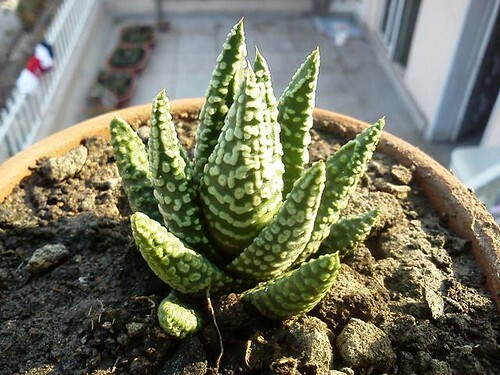 These succulent leaves assume triangular shape with crumpled edges. 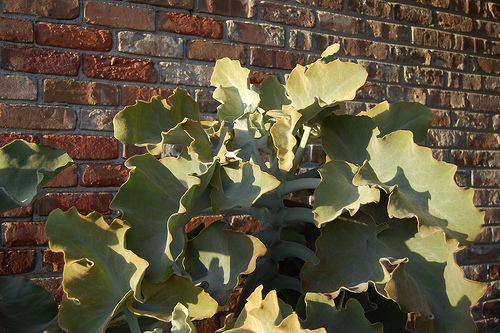 Because of their shape and furry shape, Kalanchoe beharensis is also known as Feltbush or Velvet Elephant Ear. Kalanchoe beharensis is native to Madagascar where it grows in warm and humid climate therefore it should be provided similar conditions to thrive well. 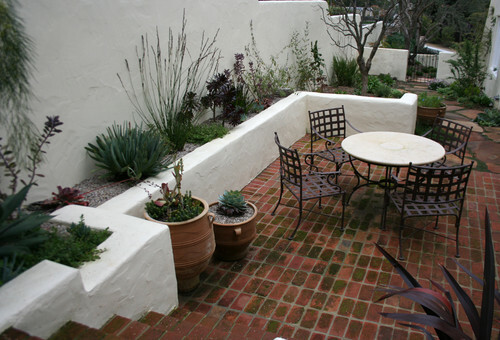 In cold climates, it requires protection from frost and long spells of freeze. If you are growing it in areas that get a lot of frost, it is advised to move your plant in a greenhouse, or to a spot where it gets sufficient light but protection from frost and extremely cold conditions in winter. 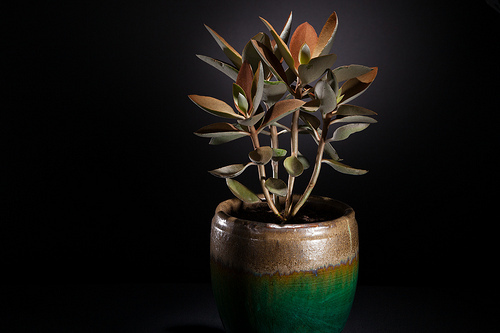 Kalanchoe beharensis can be propagated from stem or leaf cutting. 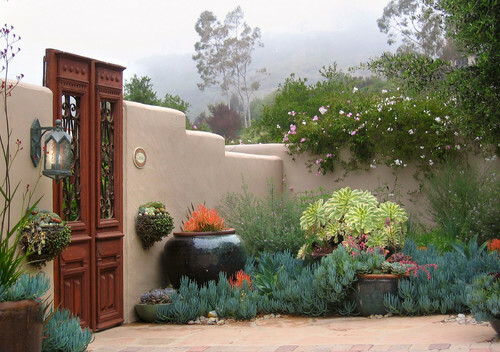 A mature plant can transform from a bush to a small succulent tree of 4 to 5 meters. 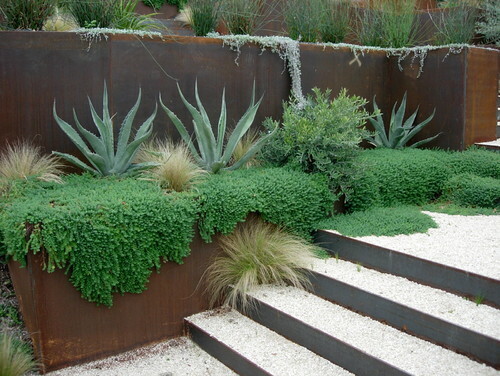 Generally it is an easy plant to grown and maintain. 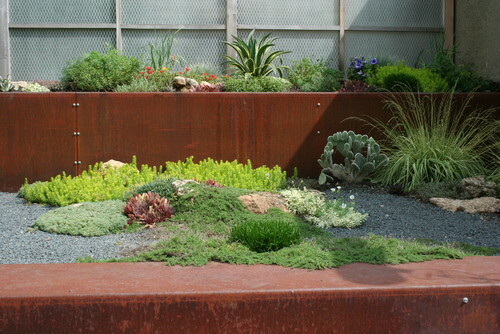 Whether grown in a planter or ground, make sure that you water it only when the soil is completely dry. The plant featured today is Kalanchoe orgyalis. 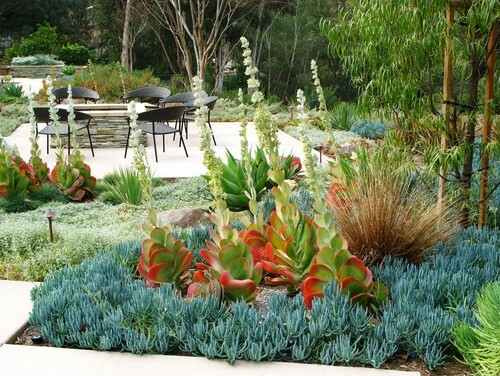 It is a popular plant among landscape designers because of attractive colors and texture of the plant. Kalanchoe orgyalis is characterized by succulent leaves that have tiny hair of copper-brown colors that gives its leave a felted substances and copper color. Fresh leaves have shiny copper color. 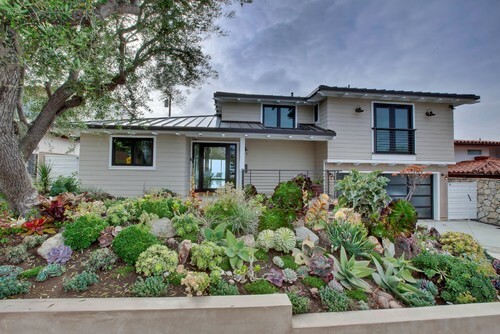 As they grow old, they assume hues of silver making the plant even more attractive. 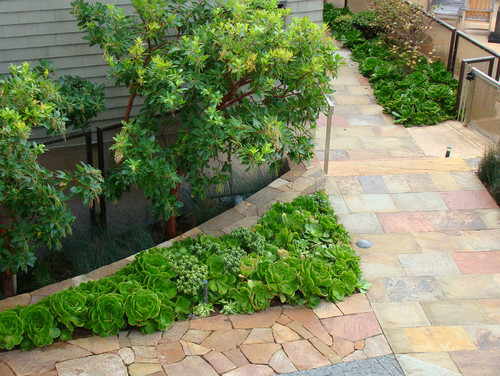 Because of the shape and color of its leaves, Kalanchoe orgyalis is often known as Copper Spoons. Native to tropical and sub-tropical regions of Africa, Kalanchoe orgyalis requires average water and a well-drained soil. 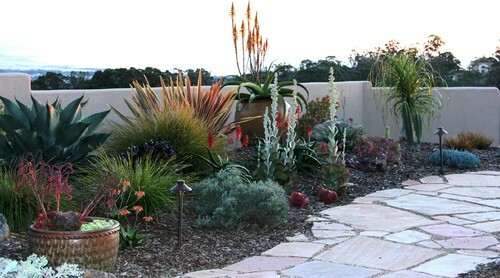 Therefore it makes a nice landscape plant in warmer climates because it does not require much maintenance. 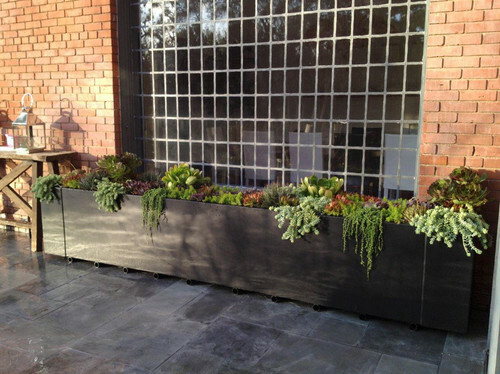 In colder climates, Kalanchoe orgyalis can be grown as outdoor pot plant in summer and a nice indoor accent plant in winter. Like other plants of its genus, Kalanchoe orgyalis can be propagated easily from leaf cuttings. 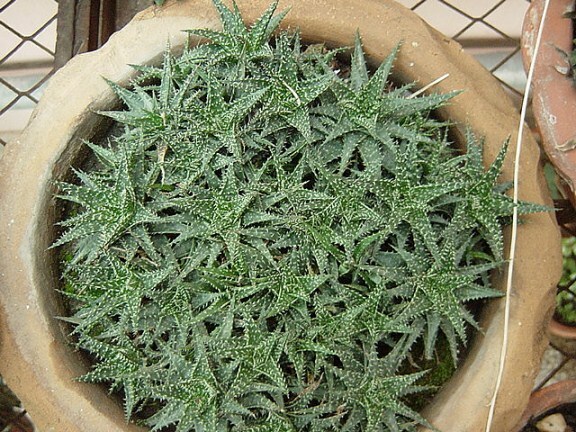 Aloe brevifolia is a low-growing succulent and is usually grown as a beautiful ground cover or lovely pot plant. 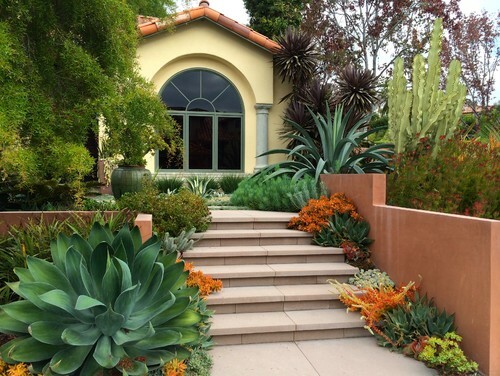 The plant forms beautiful rosette of grey-green leaves that grows up to 1 foot and produces lovely orange flowers on long spikes. 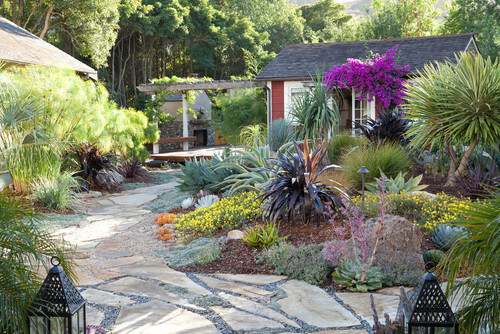 In winter, leaves of Aloe brevifolia turn pink to add striking colors to the garden. 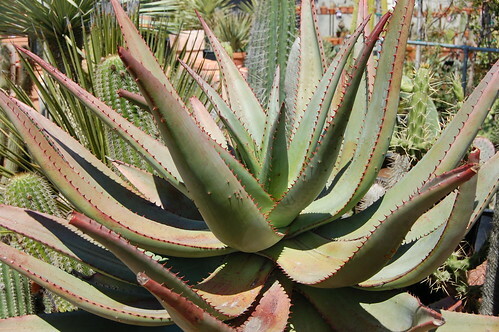 Unlike most Aloes, Aloe brevifolia is a smaller plant that seldom grows beyond 1 foot in height and width. 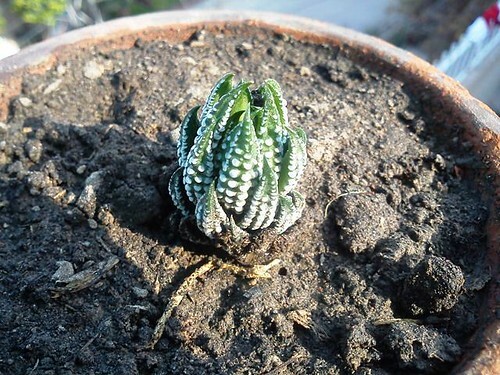 The succulent leaves form compact rosette. 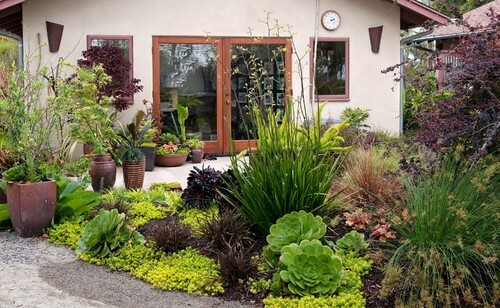 Mature plants produce suckers near the bottom to form tight clumps making it a nice ground cover for landscapes. The flowers appear on long spikes that usually appear in spring and continue to bloom till mid-summer. 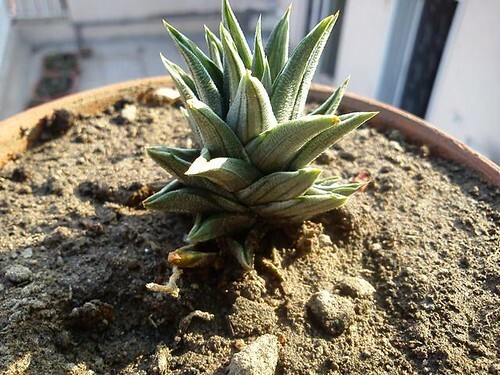 Because of its compact growth and showy succulent leaves, Aloe brevifolia can be used as effective ground cover or as small specimen plant grown in pots or rock gardens. 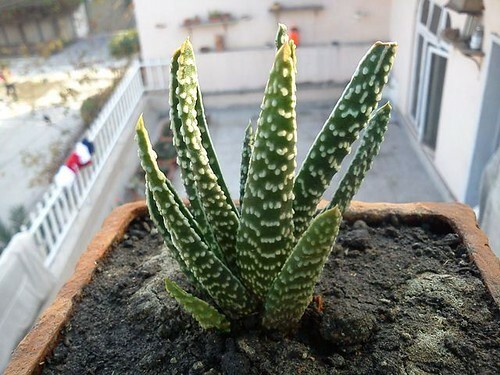 In its natural habitat, Aloe brevifolia grows in a coastal area and thus likes the similar environment. 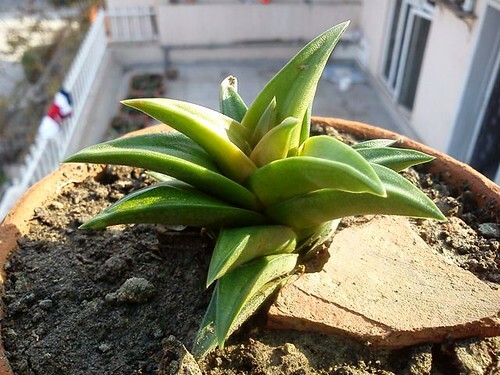 However, it is can adapt to various growing conditions. 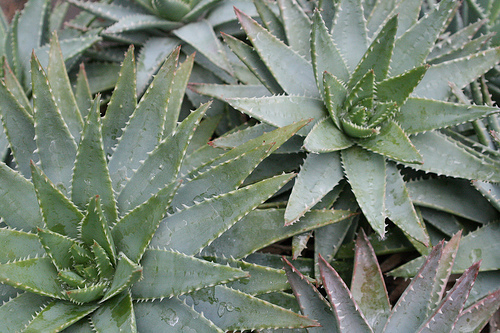 Ideally Aloe brevifolia should be grown under full or partial sun in a well-drained soil. 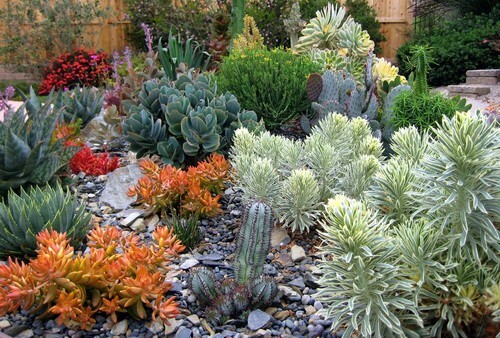 Though the plant can withstand light frost, it should be protected from long spells of heavy frost in colder climates. 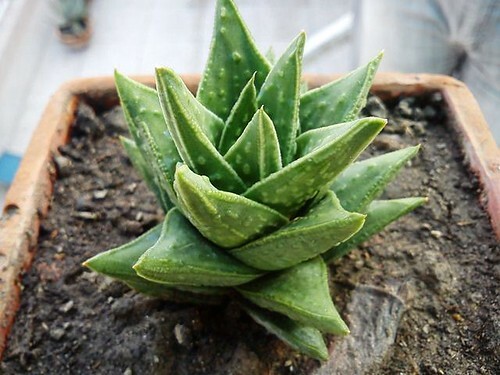 Aloe brevifolia is propagated from seeds or suckers. Though I have not had much success with growing it, Titanopsis is one of my favorite succulents any day. My recent purchase was a couple of Titanopsis calcarea from Uwe Beyer a few months ago. So far they are doing well. 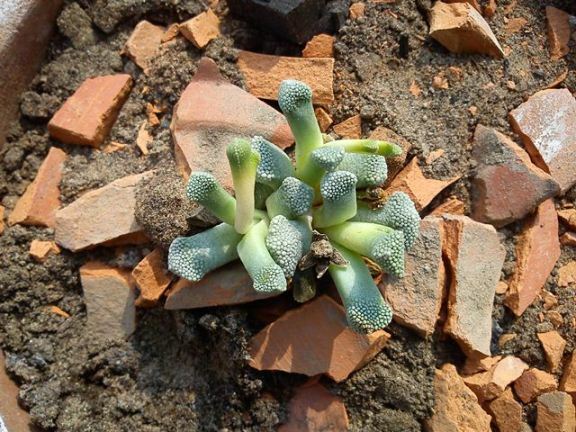 Titanopsis is a small genus of dwarf succulents from the family of Aizoaceae. 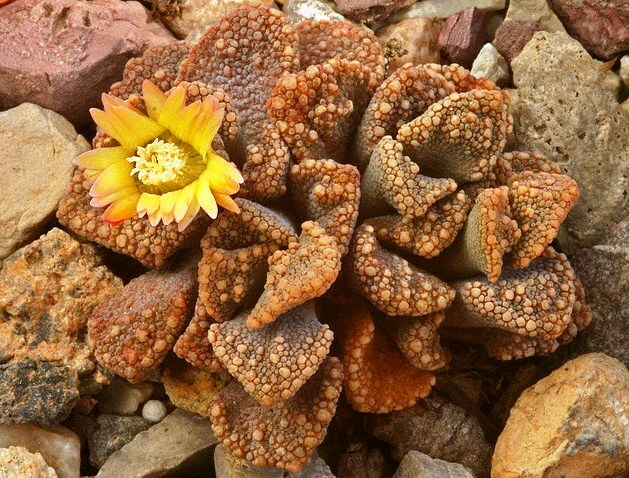 Naturally growing in the Upper Karoo in South Africa, Titanopsis is an attractive but quite unusual plant because of its formation. 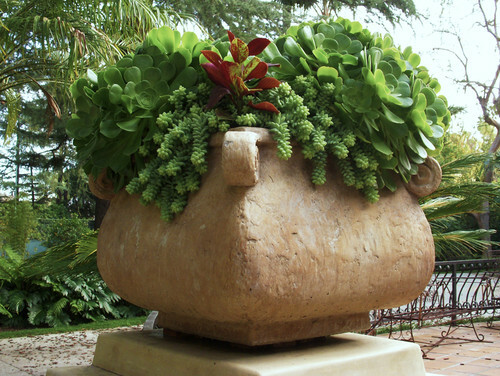 The plant grows as a dwarf succulent and produces thick truncated leaves that have crumpled surface. These unusual leaves display all the hues of red, purple, green, cream and blue throughout the year. Flowers appear in late fall and winter. Like its cousins in the Aizoaceae family, Titanopsis produces small daisy-like flowers of yellow color. Titanopsis grows to form clumps. 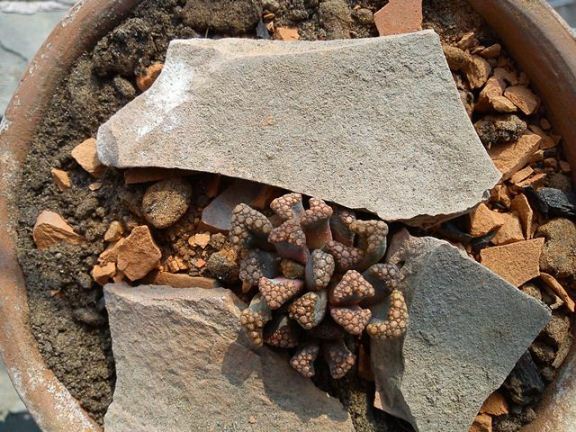 These clumps can be divided for further propagation of the plant. Titanopsis calcarea, like other species, requires moderate watering during the growing season (late fall to early spring) and almost no water the rest of the year. 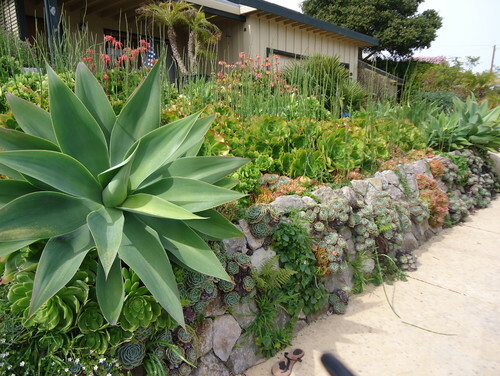 These succulent plants prefer porous soils with excellent drainage. They are capable of tolerating both high (45° C or more) and low temperature (up to -10° C). The best place to grow Titanopsis calcarea is a sunny spot where it gets bright sunlight in summer and direct exposure to the sun in winter. Other popular species of Titanopsis include: Titanopsis fulleri and Titanopsis primosii. I just added a couple of new Haworthias in my succulent garden. 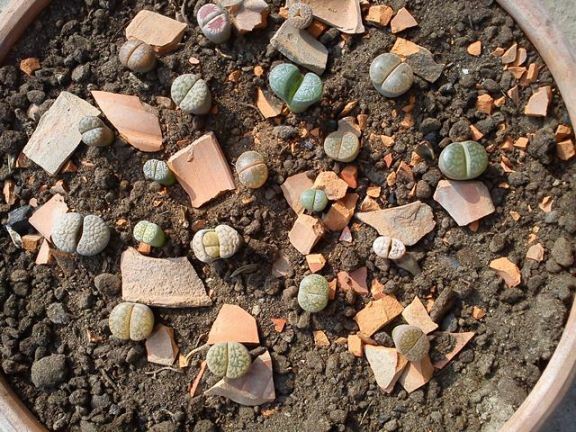 I have recently bought a small collection of Mesembs (a couple of Titanopsis and a big bunch of Lithops). The plants have not yet acclimatized themselves. The weather has been quite cold for a couple of weeks (usually it does not drop below 5 ~ 6 Celsius in winter here), but the last few weeks have been quite cold and frosty. I do not know how they are going to respond to the change of climate (I live in a semi-arid climate with very hot summer and a humid spell of monsoon). 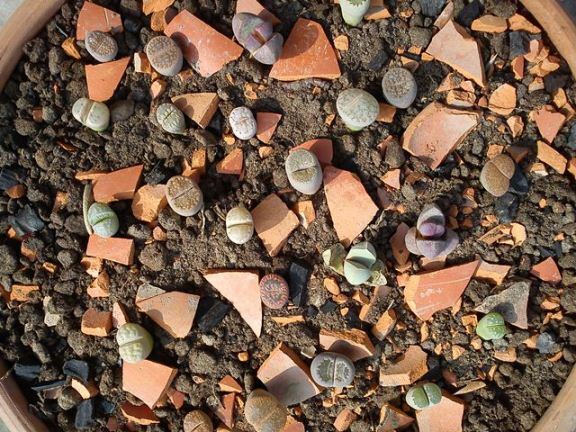 If you have any tips for growing Lithops and other Mesembs is sub-tropical climate, please share in the comments section below.